Bruce “Snake” Gabrielson has been surfing and shaping surfboards since the sixties. A time when new board designs were being coined and the master shapers and innovators of today were in full-swing, producing boards and discovering new places to surf. 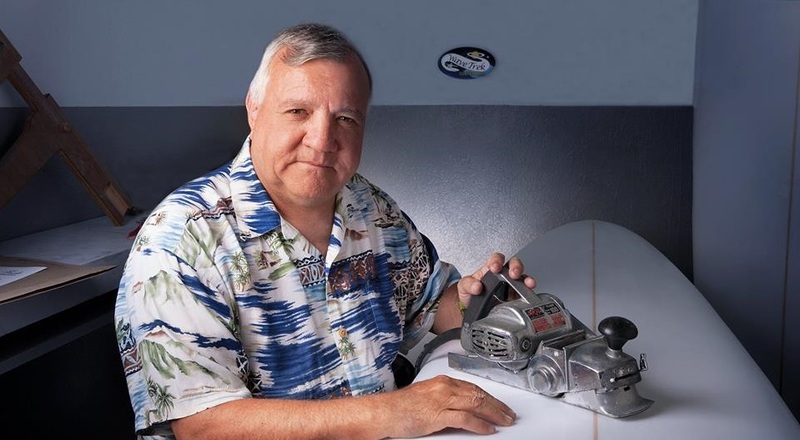 He started Wave Trek surfboards in 1969 in Huntington Beach, California learning to shape from Dale Velzy. Later in his career, he reopened Wave Trek Surfboards in Maryland in 1979, as well as obtained his Doctorate in Engineering. Bruce was also responsible for discovering the hand written history of Huntington Beach surfing composed by Bud Higgins. We recently caught up with Bruce, who is now retired from shaping, and asked him a few questions about his earlier days. I have heard you have your Doctorate in Surfing History. What are some of your favorite or most interesting historical facts on surfing you’ve discovered in your research? My Doctorate is in Electrical Engineering. However, I have been a student of surfing history since I was young. Unfortunately there aren’t a lot of Doctorate level surfers around, so I’ve constantly been drawn in as a reviewer on many masters thesis and doctorial dissertations. One of the most interesting things I found was the entire history of Huntington Beach surfing from the time of George Freeth until the late 1950′s. The history was hand written in a shoe-box I located in the attic of Gay Treece, the grand daughter of Bud Higgens. Bud and his lifeguard partner were the first two US mainland shapers taught to shape by the Duke. You have been shaping along time. Can you tell us about some of your mentors and your early years shaping? I really only had one mentor, Dale Velzy. About 1966 Dale became the shaper at Soul Surfboards in Huntington when myself and Gary Wurster were the Soul team riders. This was during the transition to short boards. We were trying a lot of designs back then, Dale would shape and Steve or I would try them out. Dale and I spent a long evening designing a shorter board that we agreed should turn flat and accelerate quickly. Unfortunately when I rode the board it immediately would dig rails and dump me. I went back to Dale and rather than start on a new board he told me to get him some blackberry brandy. When I brought it back he sat down on the chair in the corner of the stall and poured himself a cup, then asked what I was doing. He said there was the planer and it was time for me to get started. I shaped with Dale for a few months before he left and Steve Boehne came in to shape. The surf scene has changed a lot since you started surfing. What was like back when you first started surfing compared to today? Way different. I don’t remember anyone being super aggressive or getting blown out if you took off on them in the very early 60′s. 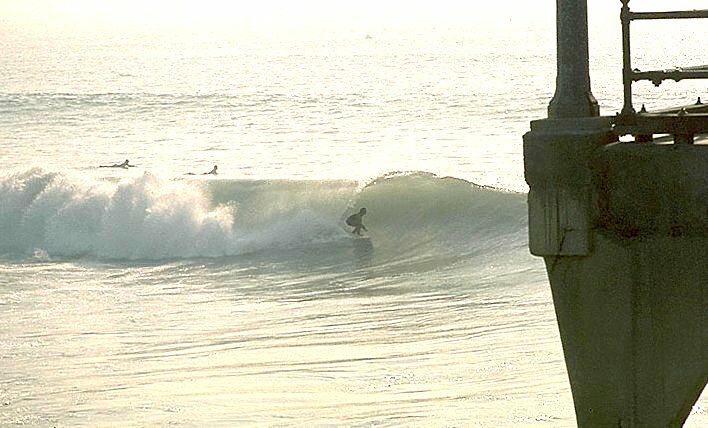 One of the first times I paddled out with the big guns was at the Seal Beach power plant during a big day. There were maybe ten guys out with me, all advanced surfers. I caught a decent wave and Chuck Linnen paddled over to congratulate me. The rest of the day they all cheered me on. You don’t see that now. Tells us a about Wave Trek Surfboards, when you started it and some of your better memories shaping there? When Dale left Soul Surfboards he went to work for Bud Rogers selling Rogers foam. About 3 months after he left he called me up one evening and said to come over to his place and bring my van. When I got there he loaded all his shaping stuff into my van. When he gave me his planer he said go forth and do well. That was the beginning of Wave Trek. My surf partner Charley Ray knew a bit about glassing and with Dales equipment we started making boards first in Costa Mesa, then on the patio behind my parents house before finally moving into a building we cleaned up on my parents property at Garfield and Delaware. That was in 1969. I shaped there until moving to the East Coast in 1980 where I continued to make boards part time in a barn behind the old farmhouse I bought in rural Maryland. It wasn’t until 2005 that I finally built a new facility and started regular production again. Among my fondest memories was personally building a board from scratch to finished glass job in one day for Micky Dora. That was a trip. 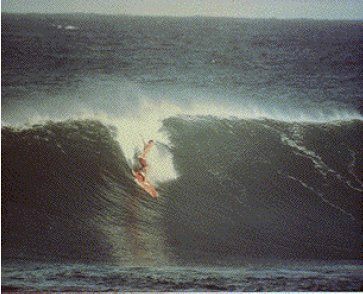 I also remember teaching John Van Ornum how to shape, and also building Mary Setterholm a board that she claims is one of the very first wahine colored board. Another experience happened in Maryland when I was shaping in an old tobacco barn. I put my blanks in the tobacco curing room so they would remain super dry. I didn’t shape for maybe three weeks and when I opened the door to pull out a blank, a racoon with a bunch of babies ran me out of the place. As someone who has dedicated their life to surfing do you feel the state of surfing and the industry is moving in a positive direction right now? The industry constantly has ups and downs. Getting machine pre-shaped boards has made a difference in the ability and the innovative designing of the real shaping craftsmen. Cheaply made oriental boards has also impacted the industry. Where I live now most of the surfers are seasonal and designs aren’t that important to them. I can buy a new board for less than I can make one. Figure that one out. Finally, as someone involved in the International Surfboard Builders Hall Of Fame who in your opinion are the best shapers of all time? I really don’t want to answer that question. There are many great ones. Among the best are Velzy, Olie, Gordie, and Jacobs. One thing I have noticed is that some folks are nominated based as much on who they influenced to shape, as on the actual boards they shaped. One great thing about ‘The Snake’ is he is willing to share his love of surfing, as well as, its history thus helping others dreams come true. I’m so fortunate to have met him and work with him on many projects over the years.